Don't just say it, Send It! So it’s 5-days to the day when we look after the number one lady in our lives and take a moment to say “thank you Mum”. We have some lovely seasonal plants, and a variety of blooms in store to make up a bouquet or arrangement. 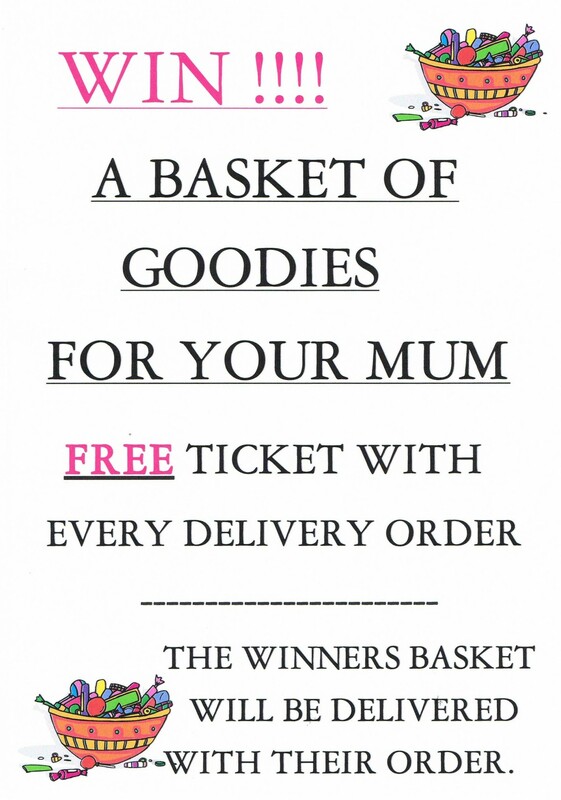 We are running a raffle on all delivery orders to win a gift basket of goodies, and there are free chocolates for over £30 orders. Check out our Mothers’ Day page, or just give us a call 01273 414666 to discuss. We work to your budget, preferences, and can personalise with her favourite wine or chocolates. Monday to Friday 9am to 5pm. Saturday 9am to 2pm. Please see our delivery charge map on Contact page. Next day delivery service for local, national and international orders. (Please allow for other countries time difference, opening times and holidays). Same day local delivery available, please call for confirmation. There is no delivery charge for local funerals.